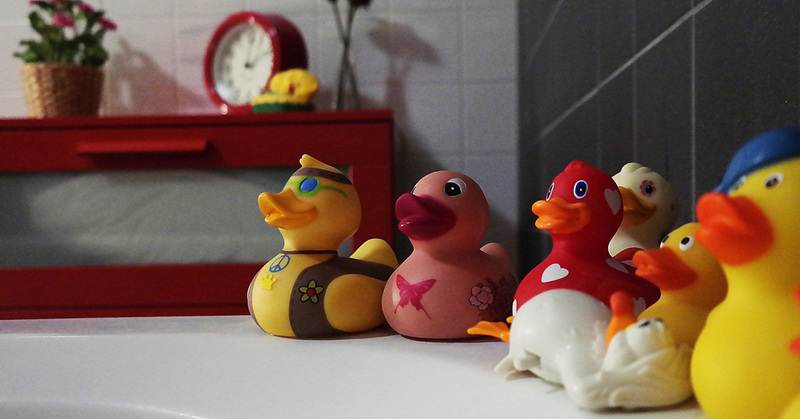 Rubber Ducky, You’re the One; You Make Remodeling so Much Fun – Alliance Title & Escrow Corp.
Like any good homeowner, you’re always on the lookout for the next premier upgrade for your home. Whether you’re considering aging in place or preparing to sell, it’s typically a positive measure to give your home the love and care it deserves. When upgrading, it’s essential to acknowledge which rooms are needing a boost. If you’re trying to impress a potential buyer, the bathroom is usually the key. Bathrooms can make or break the vision of a home – carpeted bathrooms? No way. Bright pink walls? These examples might push the buyer to run for the hills. So what are some key improvements you can give your bathroom? According to REALTOR® Magazine, grays, mixed metals, and farmhouse styles are some of the more popular trends that are being remodeled in bathrooms. Some of the more special features that are popular: dual showers, one-piece toilets, vessel sinks, and built-in vanities. These homeowners are even looking at more than just the bathroom – viewing their project as a complete renovation within their room – to create a master suite. It looks as though 46% of homeowners that remodel their master bathroom also take on their bedroom, with 11% actually creating their master bathroom to be the same size or even larger than their bedroom. So, bathrooms are important. Not only for the obvious reasons, but also for creating a luxurious retreat from the stressful world. How does your master bath look? Check out Alliance’s Blog to stay on top of all things real estate.